When life’s trials come our way, keeping the situation private and within the family is how many of us cope. For Paige Eakright and her family, that was their plan as well. However, when we make a courageous choice to open up and tell our stories of struggle, that’s when the biggest impact can be made. On Aug. 26, 2016, her first day of college at Huntington University in Indiana, Paige Eakright was diagnosed with an extremely rare form of cancer which usually affects children during their first five years. 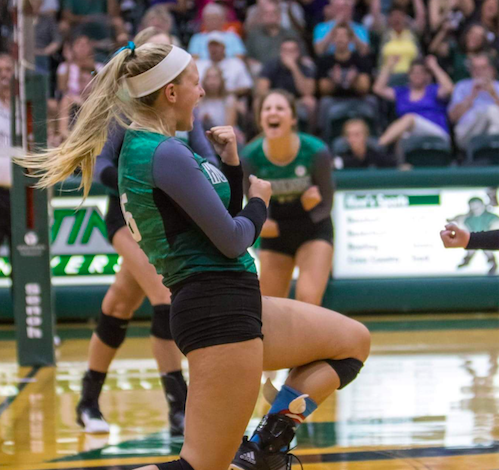 At a time when a young lady is supposed to be preparing for classes, new friendships and playing college volleyball, Eakright was preparing for a battle. 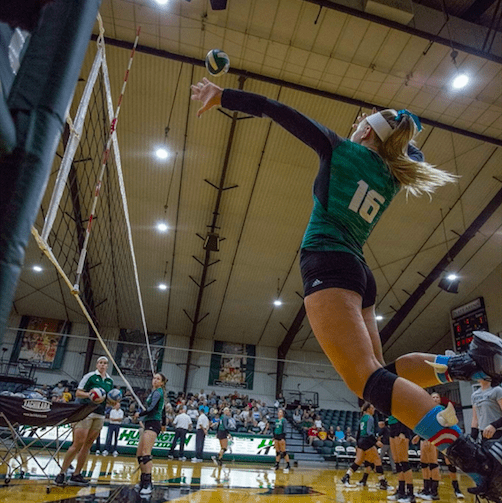 After undergoing a couple surgeries to remove the cancer, Eakright was back with the team and, amazingly, played through the entire 2016 volleyball season with Huntington. She earned freshman all-league honors and was a key contributor to the team. Following the 2016 season, Eakright began a rigorous 38-week treatment of chemotherapy that was completed in November 2017. As people began to wish her well and inquire about her recovery, her original thought was to try and keep it private because she didn’t want to make people sad and let others down. 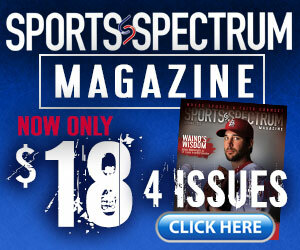 But soon, she realized that sharing her story could provide inspiration and help others. 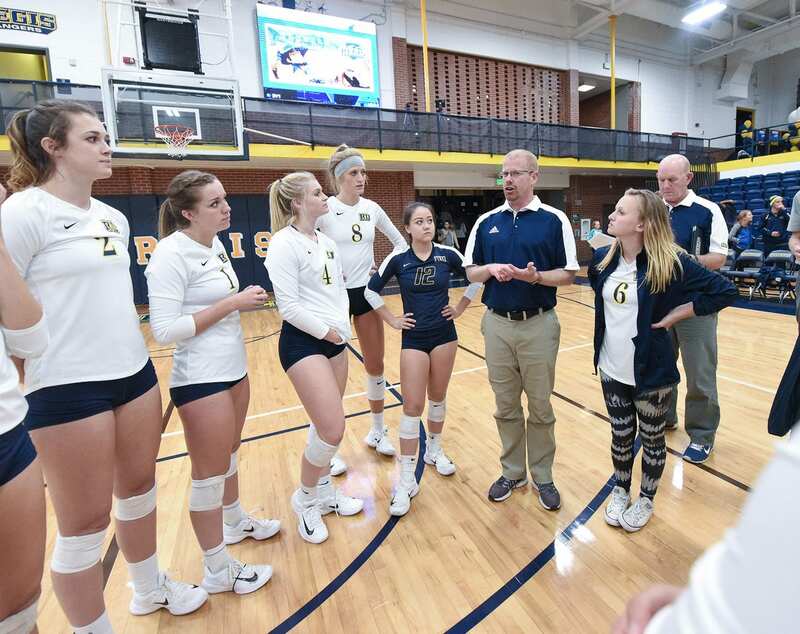 Huntington volleyball coach Kyle Shondell told Sports Spectrum that watching Paige go through this cancer battle has inspired him both as a coach and a man of faith. Shondell says he attends the same church as the Eakright family and through a ton of prayer, tears shed and believing God for healing, he saw the Lord in action. After missing the entire 2017 season, Coach Shondell said Paige has recently returned to the team and is participating in spring practices. He said she is still not back to her form prior to the chemo, but says she’s working hard and just her presence around the rest of the team has been inspiring. – What it takes to be a great volleyball player or coach? Former pro volleyball player Angie Forsett shares her story of sports and faith UCLA wins beach volleyball national championship for first time in school history UCLA Beach Volleyball Coach Jenny Johnson Jordan is Planting Seeds in the Sand What it takes to be a great volleyball player or coach?